In our previous guide about Estate Management in Guns of Glory, we were talking about the best ways to go about creating a self-sustainable estate, which can produce more than enough resources to sustain your troops, and allow you to upgrade your structures at a steady pace. On that occasion, we mentioned how the level of your gathering buildings will definitely affect your production, and about the different ways to receive resources, other than passively waiting for your production structures to accrue enough food or lumber. Nevertheless, upgrading and leveling up your buildings is only one way to increase the production of your estate and, while it technically is the best way to go about it, there are a few other methods that you could use in order to boost your production and get that upgrade that you’ve been saving up for. 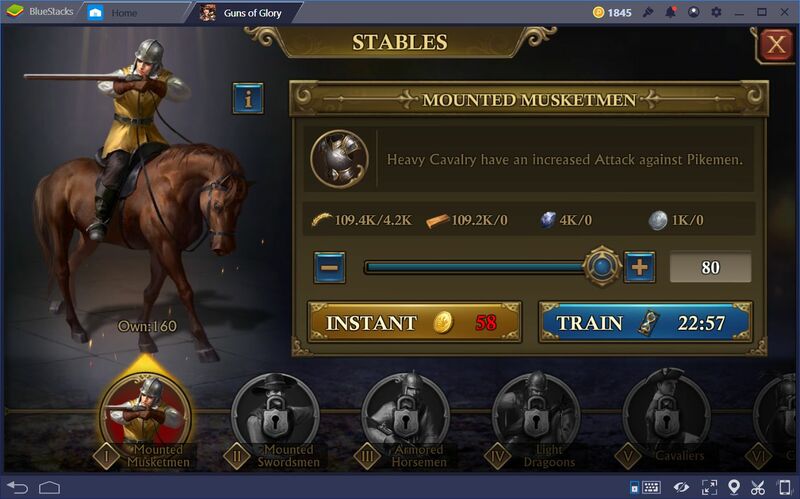 In this article, we’re going to talk about advanced strategies on how to increase your resource production, as well as methods on how to keep them safe from enemy attacks. 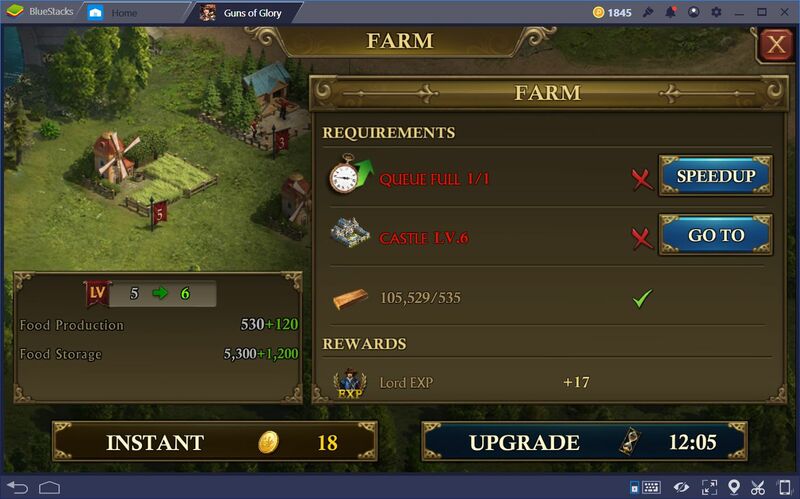 We already spoke about the importance of keeping your gathering buildings upgraded in order to optimize your production. However, other ways to speed up the gathering process is by investing points into talents and technologies that could boost the resource-gathering potential of your estate. Now, we don’t actually recommend investing valuable talent points (which can only be refunded by paying money) in economy upgrades, since these are boosts that you could make up for with consistent gameplay. However, if you’re more of a casual gamer, and you absolutely need that extra boost in gathering speed and production, we recommend investing all the way up to the Instant Yield talent, in the economy tree. 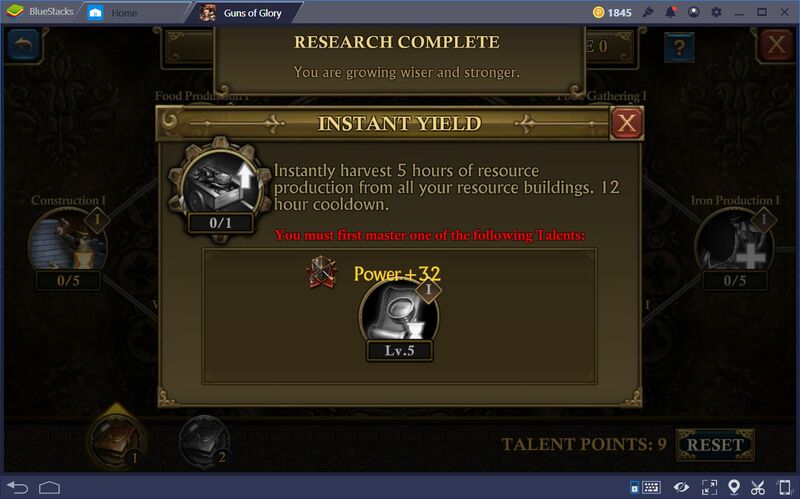 This awesome skill allows you to obtain 5 hours worth of production instantly, with a cooldown of 12 hours. Furthermore, you may also craft efficiency equipment at the forge, which can really give you the edge when it comes to improving your production. 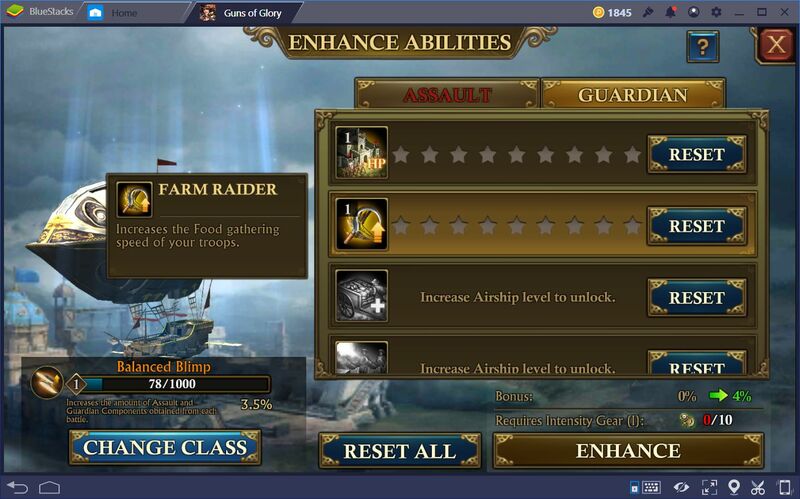 Lastly, your airship also features some utility skills that you can invest in, in order to boost your gathering. 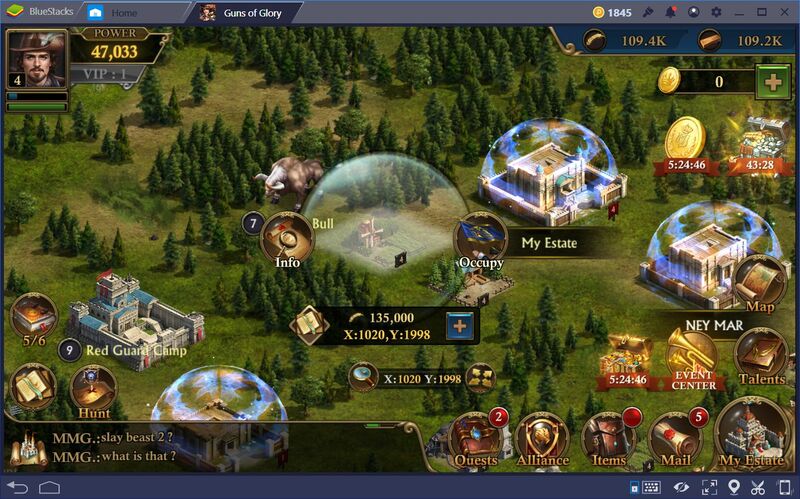 Specifically, it has some skills that will allow you to gather more resources from gathering points in the world map. 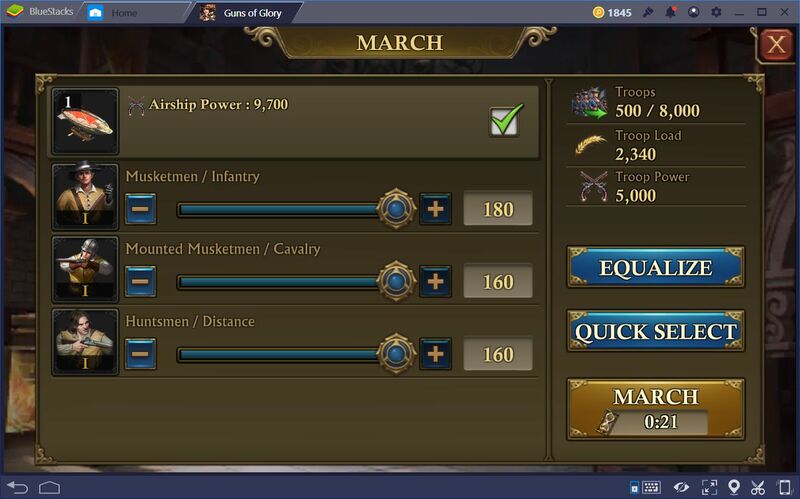 These skills are located in the Guardian category, which can be accessed by clicking on “enhance abilities” in your airship dock. No, we’re not talking about sitting around a bonfire, cheerfully sharing stories with your comrades (that would be nice, though). 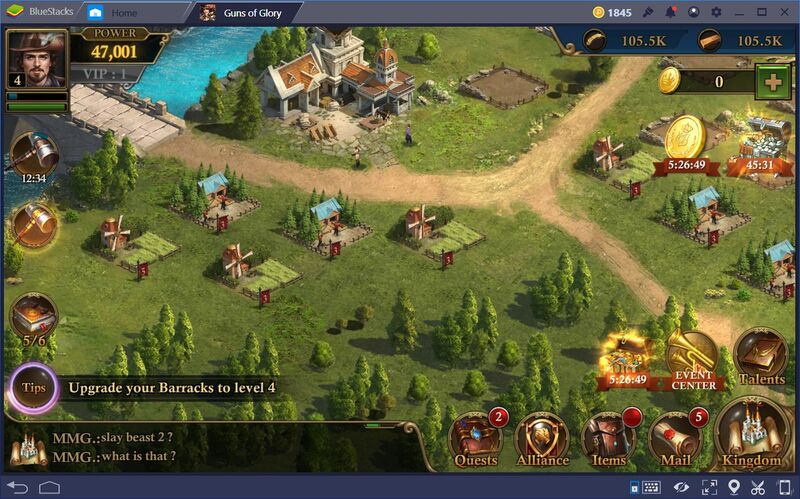 We’re talking about using your troops to gather resources in the world map. 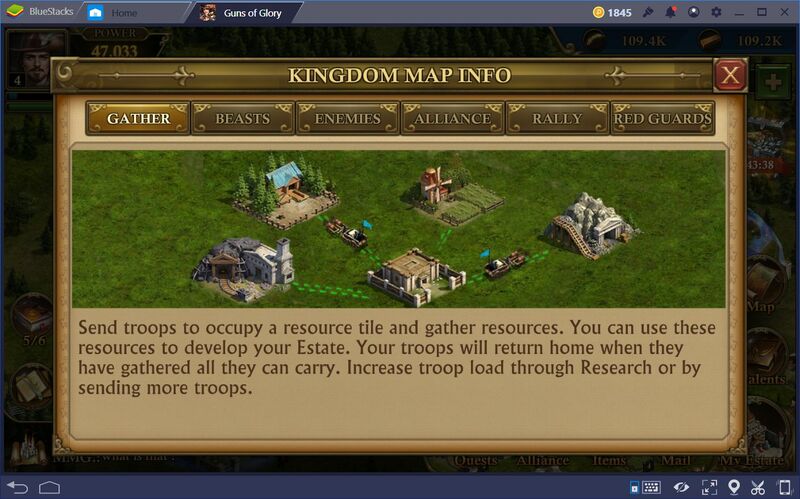 You can easily achieve this by seeking out gathering points, and simply sending your units to “occupy” it. Once you choose the units that are going to march towards the destination, they will slowly move towards it. Furthermore, once they reach their destination, they will begin gathering, which will take some time. It’s probable that, if you completed the tutorial, you already know this much. However, what this introduction failed to mention is that you can actually upgrade your marching capacity and troop load in order to increase the number of resources they can gather from the map. By default, you only have access to one march slot. 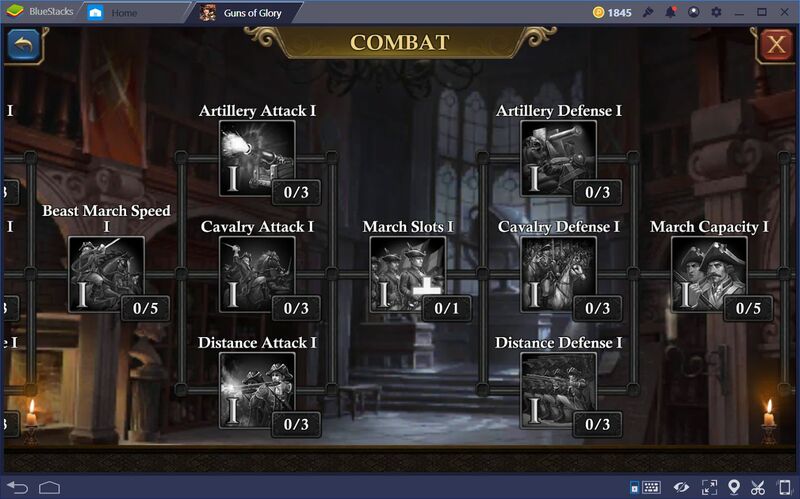 However, as you begin to research new technologies through the academy, you can unlock more marching slots through the combat learning tree. You can unlock up to 2 extra slots early on, and 2 more in the late game, which can be obtained by increasing your VIP level, and upon reaching academy level 20. In the advanced levels of the game, you’ll need to accrue ridiculous amounts of resources in order to upgrade your productions, which can take A LOT of time. The downside to this is, while you’re saving up for that sweet, sweet improvement on your farm or lumber yard, you’re wide open to attacks from enemies who only want to plunder your estate. In this sense, you need to always be prepared to act if you ever catch a glimpse of malicious intent towards you or your allies. As a general rule of thumb, if you have a ton of resources, and someone spies you, it’s because they will want to follow through with an attack. Your massive reserves of resources are the metaphorical low-hanging fruit that predators love to feed on. There are several ways in which you could react to these intents. If you’re a beginner, there’s really not much you could do in terms of fighting fire with fire. Nevertheless, if you’re starting off, and you have raised a decent army, you could have them sitting in your base idling the hours away in order to fend off possible attackers. Nevertheless, this is a costly defensive maneuver, as it will cost you resources either way. If you don’t get attacked, you’ll have to accommodate upkeep costs. However, if you DO get attacked by a stronger player, you’ll likely lose since they will have higher-tiered troops. The absolute best way to keep your resources safe is by spending them all as soon as you get them. If you have no resources, and you get scouted by a random player, then odds are that they’re just looking for a juicy target to plunder. Unless you’ve attacked one of their allies, they will have no reason to follow up their espionage with an attack. Nevertheless, the best deterrent from both espionage and attacks will always be joining a strong alliance. If you join up with a group of people, most players will think twice about spying you out of fear of the repercussions that could be enacted by your allies. 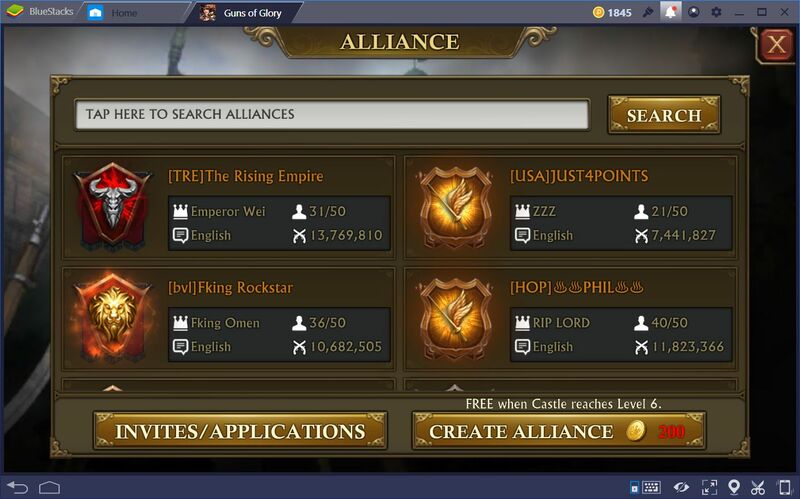 However, if you join an alliance, make sure to use a teleport scroll to move to where the majority of your teammates are so that you can form a “hive” and keep each other safe from enemy attacks. By following these tips, you should be able to improve your gathering prowess, as well as keep your resources safe for long enough to actually use them.